Please send me more information on Hilton Head Plantation at, Hilton Head Island Thank you. Sprawling with spectacular Lowcountry woodlands, golf, marsh and water views, Hilton Head Plantation includes a plat with more than 4,200 single-family homes and approximately 500 villas. There is a full gamut of home styles and sizes ranging from cozy patio homes to multi-million dollar waterfront estates. As the second largest residential development on Hilton Head – second only to Sea Pines in size - Hilton Head Plantation has several different neighborhood Property Owner Associations. All homes however, adhere to one set of architectural design guidelines. While there are some long-term rental properties, there are no resort operations or short-term rentals allowed. The majority of homeowners are permanent full-time residents. There is an annual POA fee, and a Transfer Fee upon resale of properties. No club memberships are required but are available to all residents. Many of the recreational facilities in Hilton Head Plantation are available to residents for parties and special events for a small fee. A recreation staff schedules year-round activities five days a week, including over thirty social clubs, seminars, and organized excursions and a summer camp for kids. Within the plantation are several neighborhoods marked by large signs to their entrances. Many of these, such as Crooked Pond, The Headlands, Oyster Reef, Seabrook Landing, and the Rookery, have neighborhood pools and activities, as well as those planned for the entire plantation. Golf: with 4 distinct courses and 72 scenic holes to choose from, golf choices abound in Hilton Head Plantation. The Country Club of Hilton Head’s semi-private 18-hole, par-72 golf course runs 6,152 yds., from the white tees and was designed by Rees Jones. The Country Club of Hilton Head is semi-private and boasts a full-service clubhouse with tennis, a new state-of-the-art fitness center, as well as an indoor and outdoor pool. Jones also designed the plantation’s award-winning semi-private Oyster Reef Golf Course (par 72/6071 yds. from the white tees) as well as the private Bear Creek Golf Course (par 72/6162 yds. from the white tees). Private Dolphin Head is the plantation’s fourth course created by Gary Player and Ron Kirby and is a par 72 measuring 6185 yds. from the white tees. Within the plantation, there is access to a Sound beach, a community recreation center, a shared gardening area, numerous community swimming pools, and tennis courts, playgrounds, Skull Creek marina, and the Old Fort Pub restaurant. Two nature conservancies possess beautiful, lengthy nature trails and boardwalks through woods and marsh. An extensive leisure path system for walking, jogging or biking winds through this beautiful community. Parks are located at the Dolphin Head Recreation Area, Spring Lake Pavilion, and the Surrey Lane Ball Fields. The main pool is at Spring Lake Pavilion adjacent to Spring Lake Racquet Club. Seabrook Farm has lots available for residents to grow vegetables, flowers, and herbs through membership in the Farmers Club. The Club operates the Farm in addition to hosting sales, socials, and monthly meetings. Cypress Conservancy is a small, protected ecosystem is a 50-acre conservancy with large cypress trees, blooming water plants, marsh deer, and a great variety of birds. The conservancy is administered by the POA and Hilton Head Land Trust. Whooping Crane Conservatory is the plantation’s 127-acre home to a wide variety of birds and animals native to this region. Osprey, owls, hawks, and many small birds nest here. Nature trails and a boardwalk meander through this preserved forest and wetland. Benches placed in quiet areas make this a wonderful place to observe nature. England established settlements in 1717 on what is now Hilton Head Island, and in the same year John Barnwell acquired approximately 500 acres on the north end of the island. That acreage, later owned by Sea Pines Plantation, became Hilton Head Plantation in 1971 and eventually expanded into one of the island’s largest residential communities. How many active real estate properties are currently listed for sale in Hilton Head Plantation , Hilton Head Island? Currently there are 93 listed for sale. Are there any foreclosures currently for sale in Hilton Head Plantation , Hilton Head Island? No, currently there are no active listings in Hilton Head Plantation with a foreclosure status. Are there any short sales currently for sale in Hilton Head Plantation, Hilton Head Island? No, currently there are no active listings in Hilton Head Plantation with a short sales status. What is the price range and average price for residential homes in Hilton Head Plantation ? The price range of the 71 listed homes for sale in Hilton Head Plantation is between 258K and 3,595K. The average price is 707K. 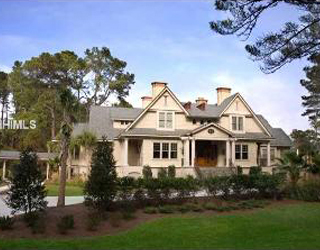 Click here to view all residential home listings in Hilton Head Plantation. What is the price range and average price for residential condos and villas in Hilton Head Plantation ? The price range of the 4 listed condos and villas for sale in Hilton Head Plantation is between 395K and 527K. The average price is 454K. Click here to view all residential condos and villas listings in Hilton Head Plantation. What is the price range and average price for residential land and lots in Hilton Head Plantation ? The price range of the 18 listed land and lots for sale in Hilton Head Plantation is between 99K and 1,699K. The average price is 336K. 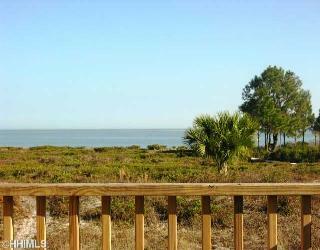 Click here to view all residential land and lots listings in Hilton Head Plantation. What amenities a buyer should expect to find in Hilton Head Plantation ? 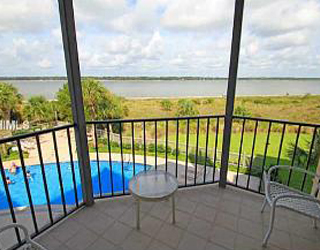 What kind of views a buyer should expect to find in Hilton Head Plantation ? Located on the north end of Hilton Head Island, Hilton Head Plantation is one of the area’s largest gated residential neighborhoods. At 4,000 acres, and home to just over 10,000 Islanders, Hilton Head Plantation is situated between Port Royal Sound and the Intracoastal Waterway. With two separate entrance gates and 24-hour security, the community features an abundance of amenities and recreational opportunities for residents of all ages. With four championship golf courses, both public and private, and a full slate of sporting and dining opportunities at the Country Club of Hilton Head, Hilton Head Plantation is a favorite residential and family locale. Recreational facilities include four separate equity golf clubs, tennis courts, a beach park, pools, stables, and a full service marina. Breathtaking sunsets and water views are unsurpassed. Located immediately outside of the plantation’s main gates are the popular shopping, dining and entertainment areas of Main Street. Additionally, local schools, churches and medical facilities are accessible just outside the plantation’s perimeter. Quick access to both the mainland bridge and the Cross Island Parkway makes a trip to nearby Bluffton, Beaufort, Savannah, or south to Sea Pines and Coligny Circle, easy destinations.